Open enrollment period is the time to take action if your plan does not provide adequate in-network coverage of Roswell Park services. Our financial counselors are ready to assist you with any of your open enrollment, health insurance and billing questions. We'll contact you if you fill out the form below or you can call us at 1-800-ROSWELL (1-800-767-9355). Depending on your type of health insurance, there are rules about when you can enroll in another health insurance plan. Open enrollment period runs from October 15th through December 7th. Open enrollment periods are determined by your employer, but are typically in the fall. Open enrollment period runs from November 1st through January 31st. What type of insurance does Roswell Park accept? Each insurance company offers many different type of plans, and Roswell Park may not accept all of these plans. As an example, Roswell Park may participate with an insurance company's Medicaid Managed Care and Essential Plans, but does not participate with that company's Medicare Advantage or Metal-Level Products purchased through the Marketplace. NOTE: Services are subject to each plan's pre-authorization requirements. NOTE: If you are insured with one of the above out-of-network health plans you may not be able to receive care at Roswell. You may be subject to higher member out-of-pocket costs because we are out-of-network with these plans. *If you are accessing Roswell Park Comprehensive Cancer Center with one of these health plans, please be advised that you may be subject to higher out of pocket costs. ** Although Roswell Park Comprehensive Cancer Center is not directly participating with the health plan, please call us at 1-800-ROSWELL to determine if your plan allows for out of network benefits. 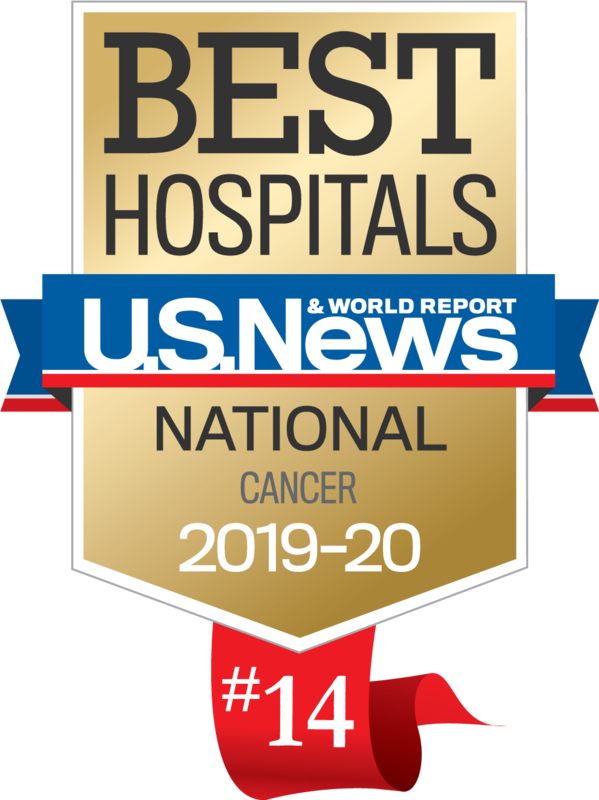 Roswell Park is the only cancer hospital in New York State outside of New York City to be among the U.S. News and World Report’s list of top 50 best hospitals for cancer care. Ranked among the top 3% of the nation’s cancer centers, Roswell Park helps to set the standards for cancer care around the nation. Read more about why you need Roswell Park in your network. Our experts are here to help you make sense of your health insurance, network access or your medical bills. If tragedy strikes, you want to be prepared. Kim Sweeney, Director of Patient Access, explains why it’s important to plan ahead. Choosing the best insurance plan for you and your family can get complicated. Stephanie Evans, Financial Counseling Manager, is here to help you make sense of it all. Here are answers to some of the most common questions about open enrollment. Open enrollment is the period of time each year when you can enroll in a health insurance plan. Typically you cannot enroll in or change plans outside the open enrollment period unless you have a qualifying life event (e.g. loss of insurance, permanent move to a new area, loss of job, divorce/marriage, age off parent’s plan). Medicare’s open enrollment period runs from October 15th through December 7th. NY State of Health Marketplace’s open enrollment period runs from November 1st through January 31st. Job-based plans’ open enrollment period is determined by your employer, but are typically in the fall. Medicaid, the Essential Plan, and Child Health Plus allow you to enroll at any time. Does Roswell accept Medicare and Medicaid? Yes, Roswell Park accepts both traditional Medicare and New York State Medicaid. If you are enrolling in a Medicare Managed Care Plan, please consider enrolling in a plan that is in-network with Roswell Park (BlueCross Blue Shield of WNY, Independent Health, MVP, and Univera Healthcare). Otherwise, if you choose a plan that is out-of-network, your plan may not cover your services at Roswell Park and/or you may have higher out-of-pocket costs. If you are enrolling in a Medicaid Managed Care Plan, you should select a plan that is in-network with Roswell Park (BlueCross BlueShield of WNY, Fidelis, Independent Health, and Yourcare). Otherwise, if you choose a plan that is out-of-network, all services will require prior authorization and/or you may not be able to receive services at Roswell Park. How do I know if my insurance covers Roswell Park as a provider? Please contact your insurance company to find out if your plan is participating with Roswell Park and its providers. You can also call us at 1-800-ROSWELL or email us at askroswell@roswellpark.org with questions. When a provider is in-network it is contracted with the insurance plan to provide services to its members. An out-of-network provider is not contracted with the insurance plan. If you receive services from a provider that is in-network, your out-of-pocket costs will typically be less than if you receive services from an out-of-network provider. Services provided by out-of-network providers may not be covered under your plan. Will I be able to receive services at Roswell if my insurance plan is out-of-network? If you have out-of-network benefits, you may be able to still receive services at Roswell Park. However, an out-of-network authorization may be required – this means we would need a prior approval by your insurance plan for you to have services at Roswell Park. Another important factor to consider when deciding to go to an out-of-network provider is the financial responsibility. Typically an insurance plan will pay less when you receive services out-of-network and will hold you responsible for a larger portion of the bill. For example, you may have 20% coinsurance for in-network services, but 40% coinsurance when you go out-of-network. In addition, you may be responsible for paying the difference between Roswell Park's charges and your insurance plan’s usual and customary rates. What do I consider when picking an insurance plan? There are many factors to consider and compare when picking an insurance plan, but two key components are coverage and cost. First, you want to make sure the providers (your primary care doctor, specialists, hospitals, etc.) that you use are in-network and participating with the plan you choose. Second, you should consider the total health care costs (monthly premium, deductible, copays and coinsurance, and out-of-pocket maximum). Generally, plans with higher premiums have better coverage and lower out-of-pocket expenses. What questions should I ask my insurance plan about my coverage? What are my co-pays for specialist office visits, ambulatory surgery, chemotherapy, radiation, radiology, and inpatient admissions? What is my maximum out-of-pocket cost (MOOP)? Does my plan require out-of-network authorizations? What are my out-of-network benefits (deductible, coinsurance, out-of-pocket maximum)? Does my insurance plan access any special networks (such as Cancer Resource Services, MultiPlan, or MagnaCare) for which Roswell Park is an in-network provider? Will I be balance billed for the difference between the usual and customary rates and Roswell Park’s charges? If you have out-of-state insurance, you should check with your insurance plan to see if your plan has out-of-network benefits. What if I miss the open enrollment deadline? If you miss the open enrollment deadline, you will have to wait to change insurance plans until the open enrollment period next year. You are only allowed to change plans outside the open enrollment period if you have a qualifying life event such as getting married, having a baby or losing health coverage. At Roswell Park, we are doing our part to help underserved patients gain access to life-saving treatments, manage the cost of care and navigate insurance red tape. We discussed our initiatives during the Buffalo Cancer Moonshot Summit, and we are dedicated to the national effort. It’s open enrollment season, the time of year to reevaluate your heath care coverage. There are a number of things to consider and compare when choosing a plan. Asking the right questions and understanding industry terms will help simplify the process and make you a savvy consumer.